Costa Rica is a small country, covering only 0.03% of the planet’s surface yet it is within the top 20 countries for species density and rich in biodiversity. Roughly a 1/4 of the country is protected in conservation areas and parks. The variety of activities includes horseback riding, hiking mountainous paths in the cloud forests, and guided wildlife-watching. Costa Rica is the result of complex volcanic activity that took place some 75 million years ago and still continues today. Rugged highlands are found throughout most of the country and there are several active volcanoes including Arenal and Irazu. Long coastlines offer access to both the Atlantic and Pacific oceans, and there are a number of rivers and streams with rapids to thrill kayakers and rafters. Surrounded by equally impressive marine biodiversity, Costa Rica is the perfect place for divers. 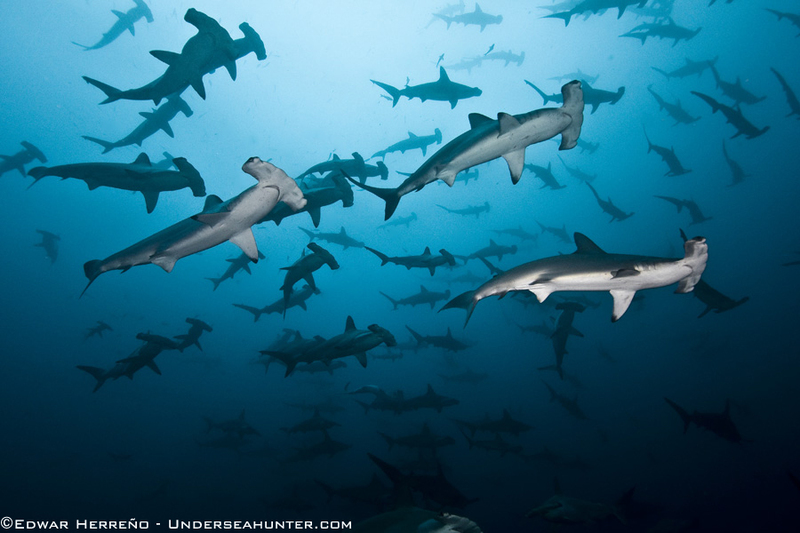 Much of the surrounding seas belong to wildlife protected areas, such as the famous Cocos Island National Park, also a UNESCO World Heritage Site. Costa Rica´s Pacific coast has been listed by Rodale´s Scuba Magazine as one of the top 5 destinations around the world for advanced scuba diving. While the visibility is generally 40-80 feet there is an incredible abundance of marine life due to the nutrient rich waters flowing up the Pacific Coast. Costa Rica is not known for its tropical coral reefs. Instead, you will encounter schools of thousands of fish and bottom dwellers that are far more abundant and exotic. Hundreds of swirling hammerheads, white tip sharks, manta rays and even the elusive whale shark can be seen off Cocos and Malpelo Islands, which are 260 miles off the mainland coast and reachable only by liveaboard.